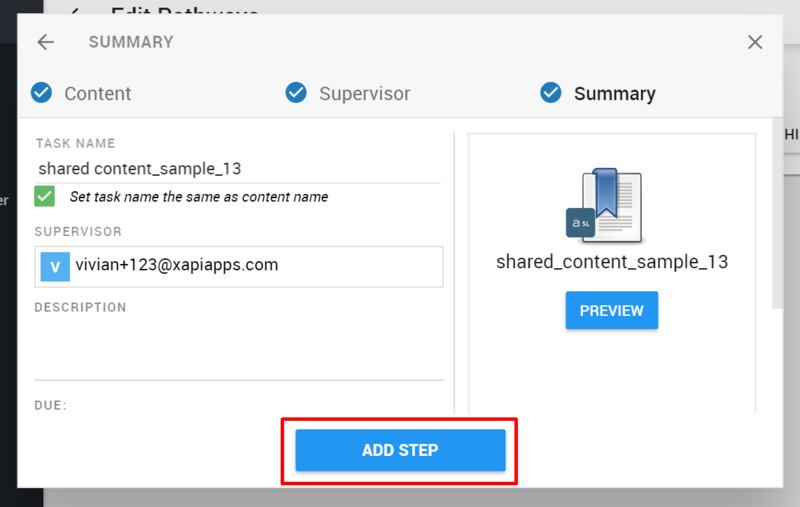 This guide will cover uploading supervised content into xapiapps, and how to test the content. 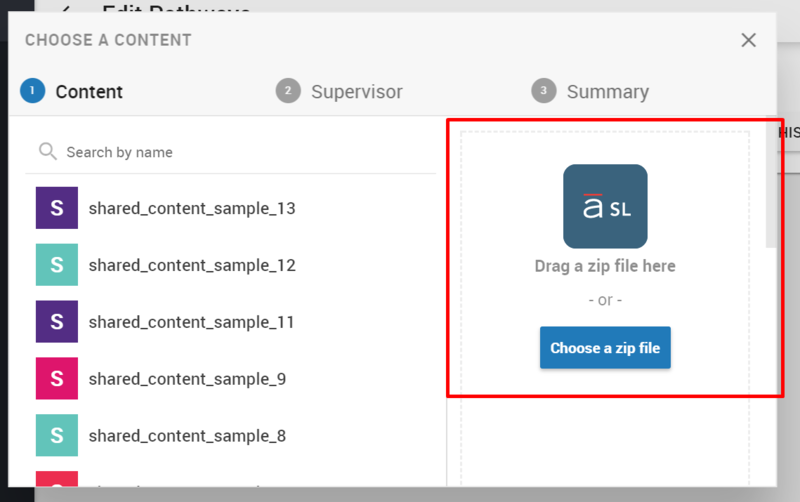 Step 1: Download this sample supervised content. 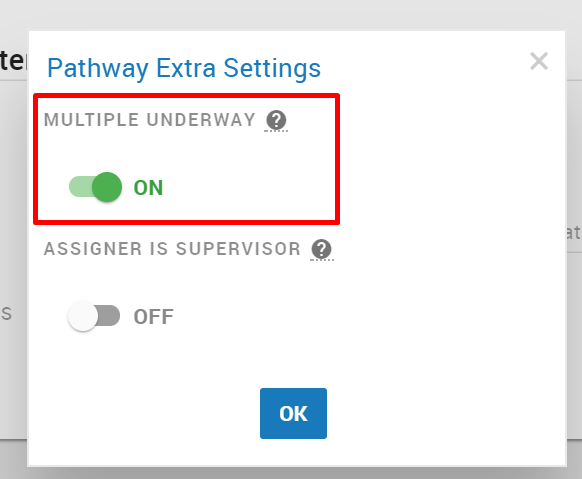 Step 10: Turn on "Multiple Underway" setting. Step 14: In another browser sign in as this learner, or sign in as yourself and impersonate this learner. 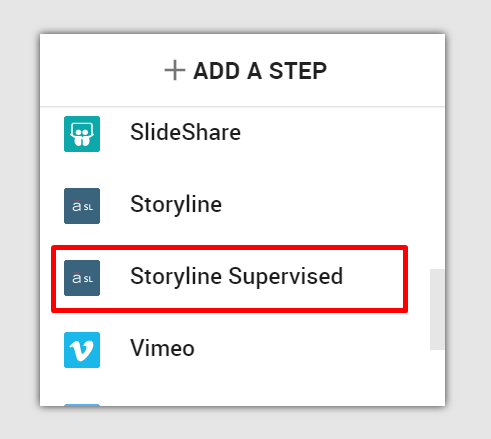 Step 15: Learner account: You can see that the learner has the Storyline task in their learning list. You will see the introductory page for the sample content. Step 18: Your account: Click on the Start / Resume button. 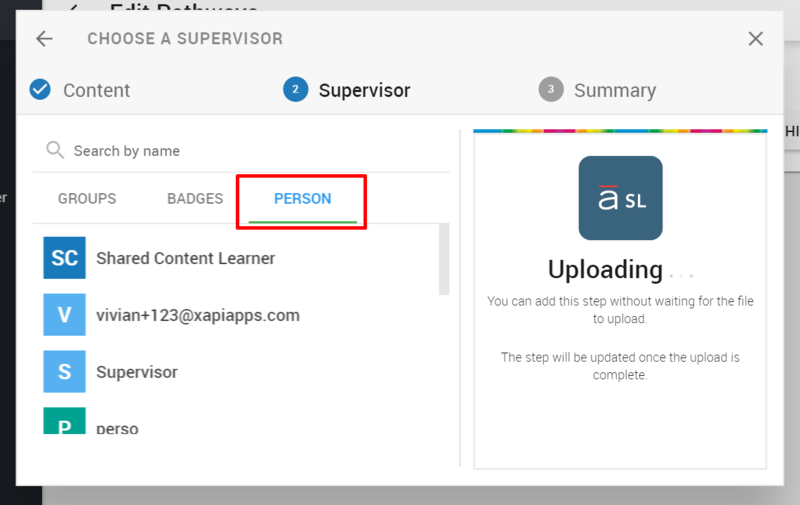 You'll see "Your learner is still in progress" and the supervisor will be locked from moving through the content. 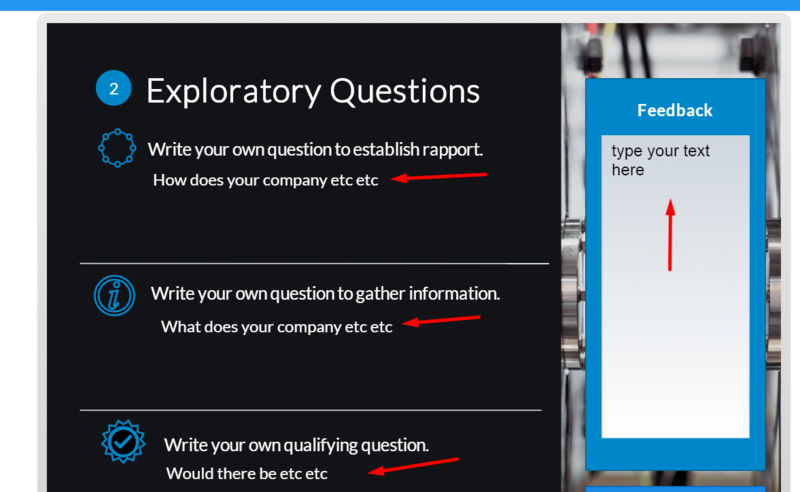 Step 19: Learner account: Click on the Start / Resume button and go through the content until you reach the Q & A section. Fill the response (with anything) and click next. You'll reach a page that says "Please contact your manager to review". Notice also, you are unable to click prev or next. Step 20: Your account: Click on Resume button. You'll see a screen that says "Please review your learner's responses". You'll see the page with your learner's responses and a section to leave your feedback. Type in some feedback. Then click Save Feedback. The content will then say "Review Completed"
Step 21: Learner account: Click Resume button. The learner will see a that the content has been reviewed and can go back and review the the feedback. Learner can see the feedback left by the supervisor. You can continue the content and click next. The process for other sections will be similar.